The differences between the original and repress are: On the original the titles printed on the center label are closer to 'that side' and 'this side' than on the repress. Also the font used is different between the two. 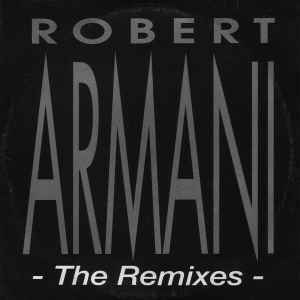 Like A Tim's remix of Armani Trax kinda sticks close to the original as well but still has that characteristic "Like A Tim" quirkiness. Armando's remix of Ambulance makes it sound a little different without taking the edge of the original and Spasms remix of Invasion is just INFUCKINGCREDIBLE!!!!! Not only is it hardjacking insanity but it's intro makes it the perfect bridge track to take a set to the next level. The Hardfloor mix of Circus Bells has to be runner up to Hardfloor Acperience One for the classic acid tune of all time award. Back in 1993, no party would have been complete without it.....just the intro would be enough to get the dancefloor of pilled up nutters foaming at the mouth, and then when that long drawn out break down came in, things would just get stupid! Highly recommended!